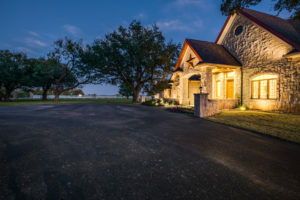 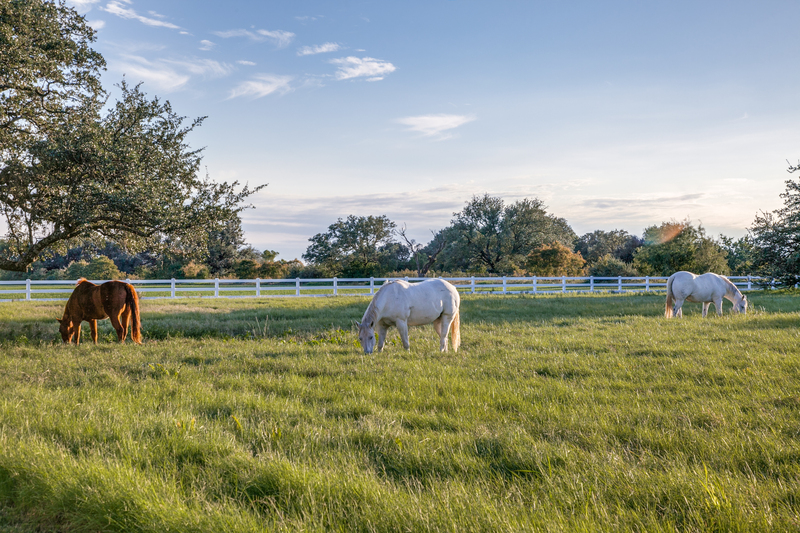 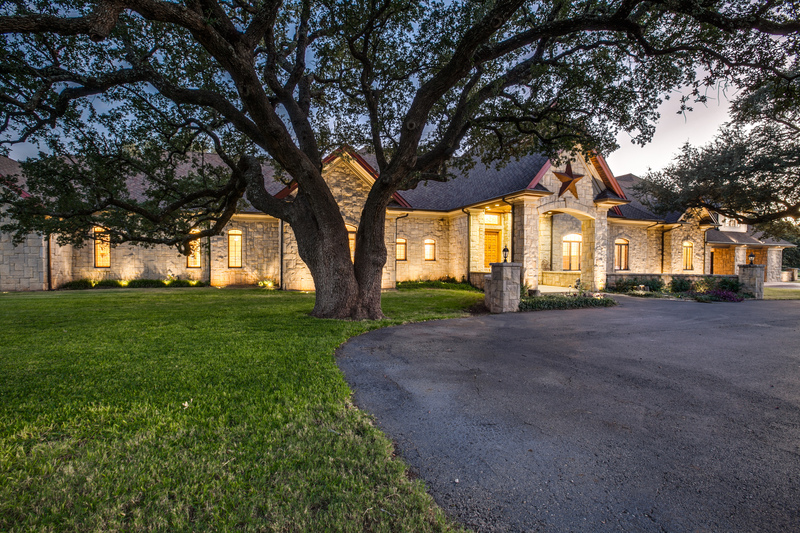 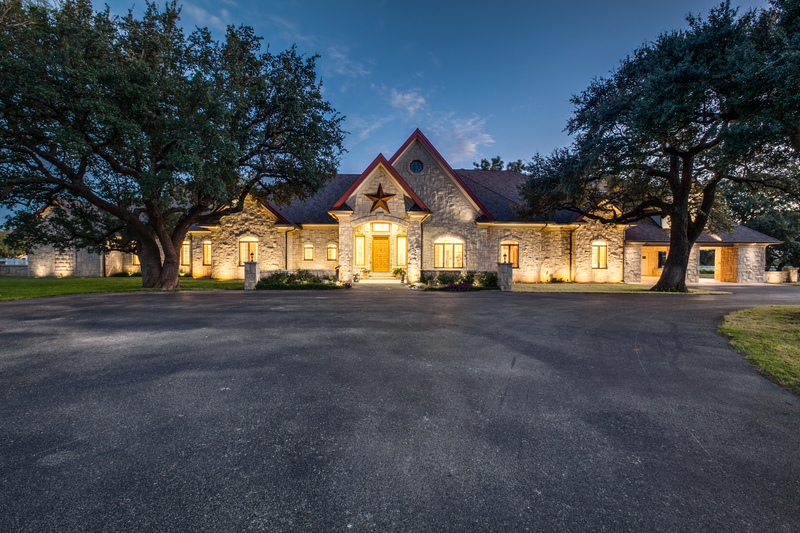 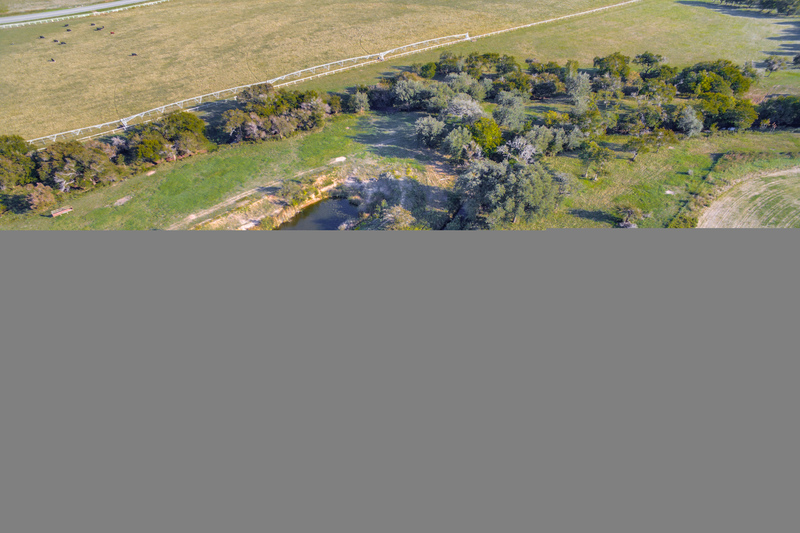 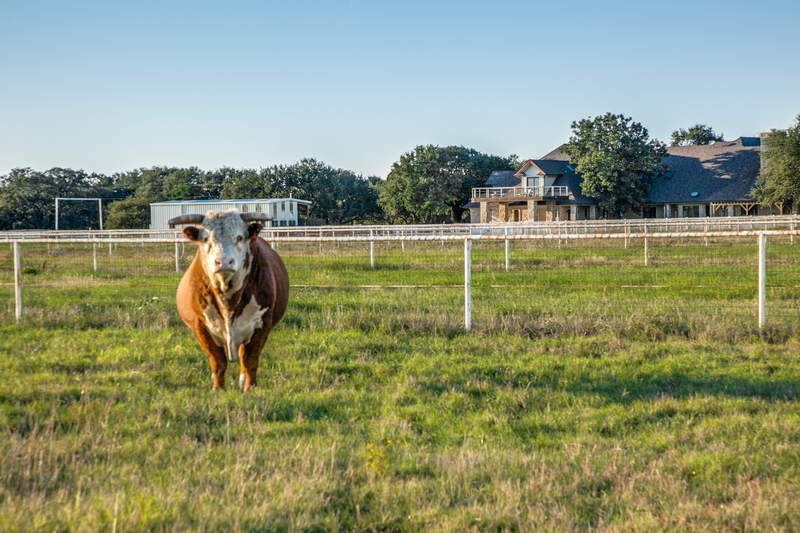 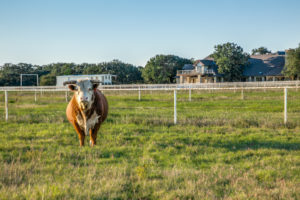 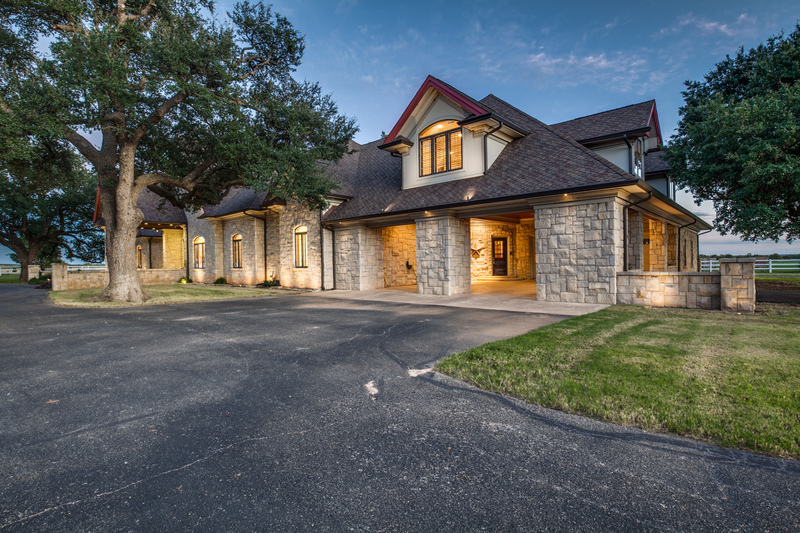 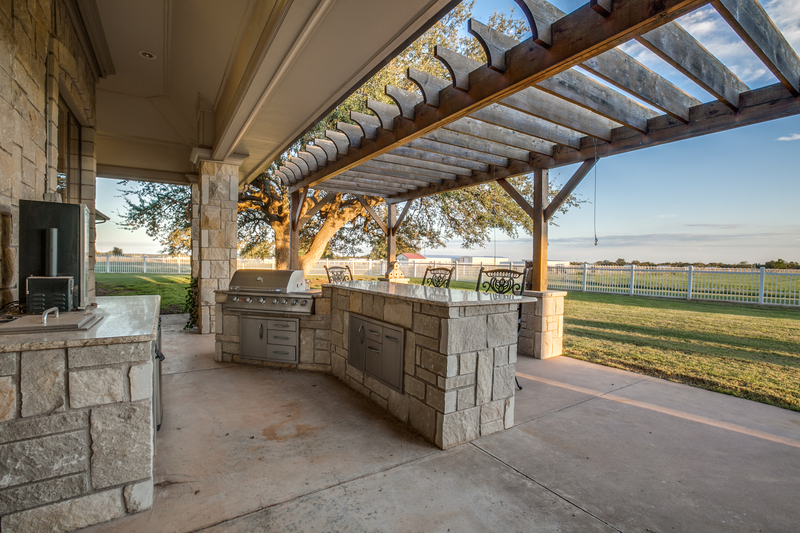 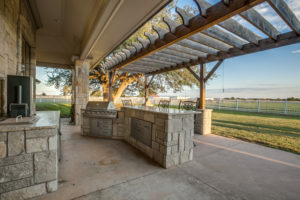 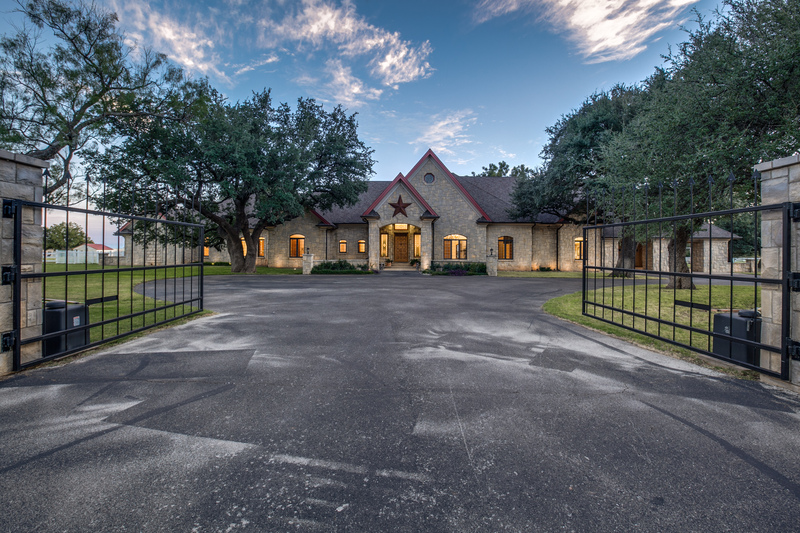 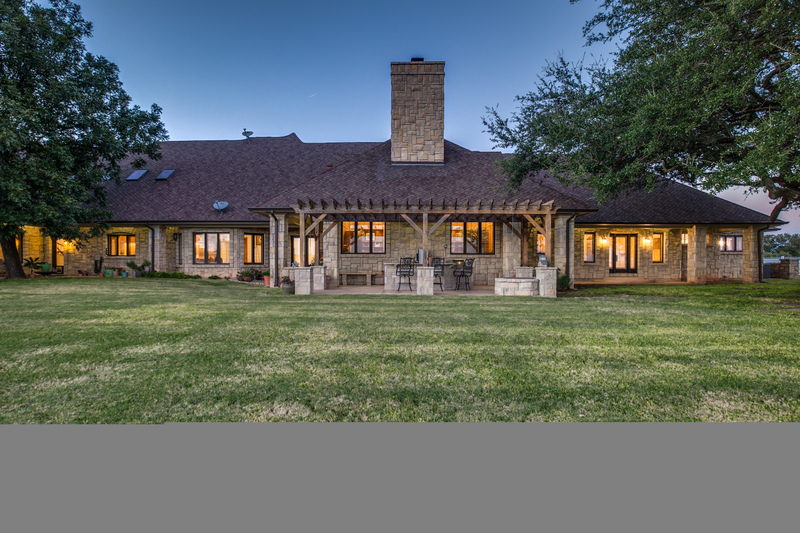 Jim Ned Horse Farm is an exceptional property in Taylor County Texas that must be seen to be truly appreciated. 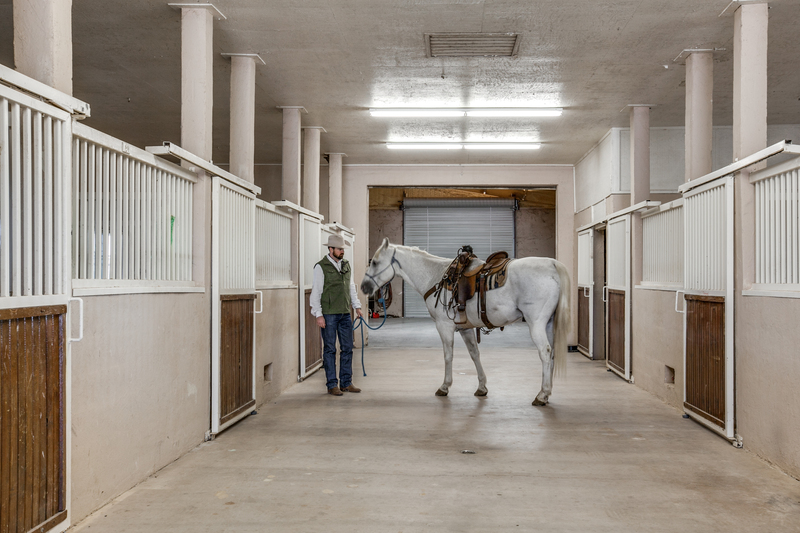 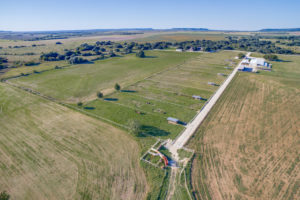 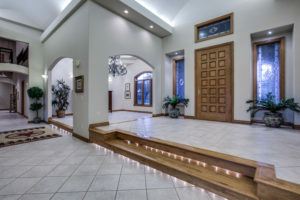 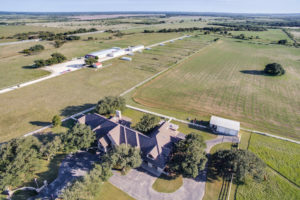 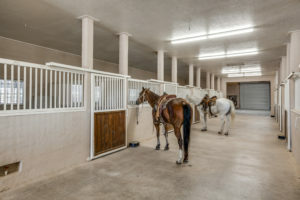 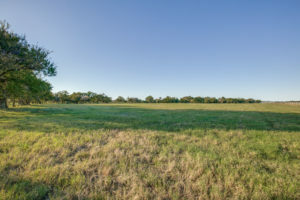 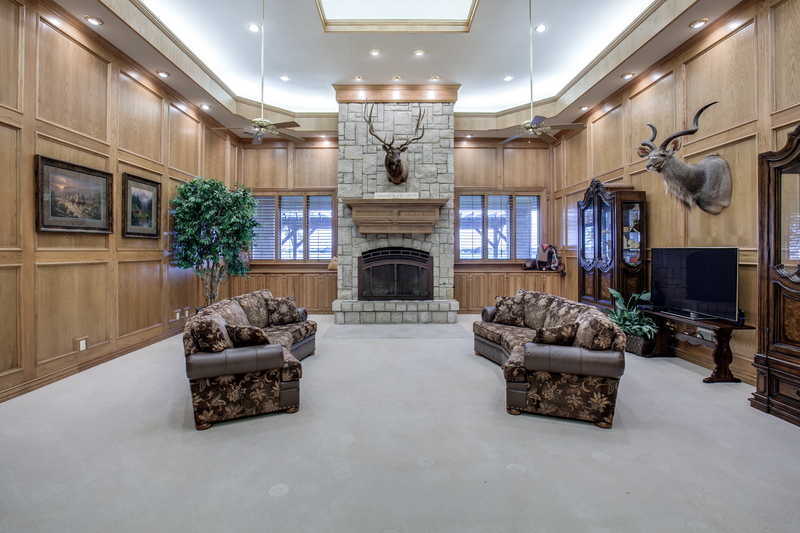 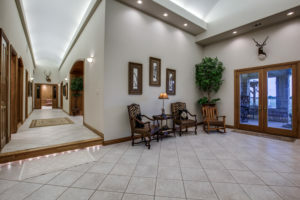 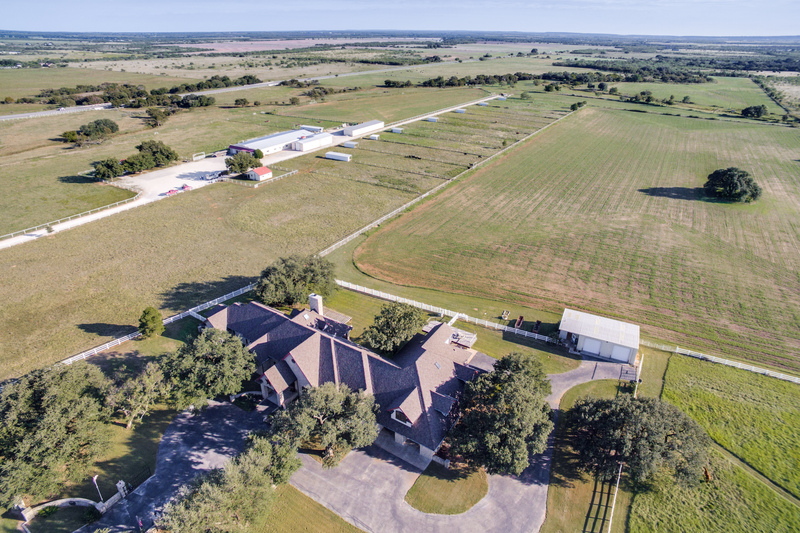 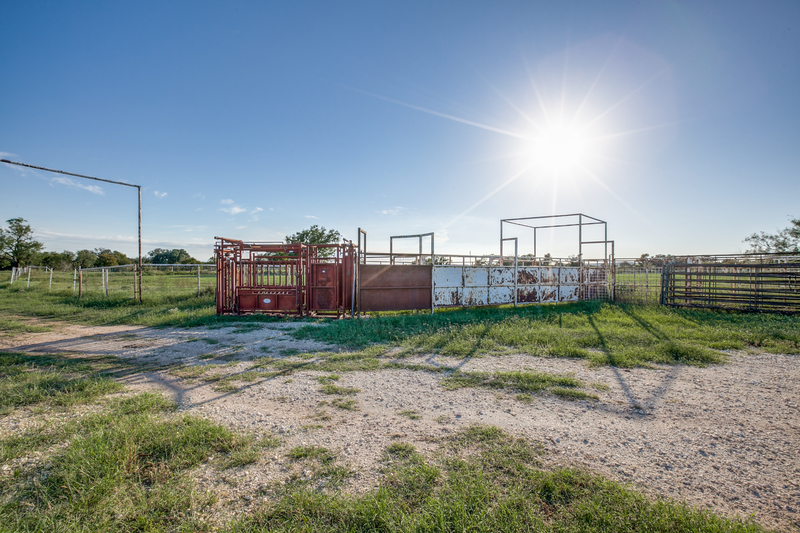 Twenty minutes south of Abilene, 2 hours and 15 minutes west of Fort Worth, and 2 hours and 45 minutes from Dallas, this property is ready for any horse discipline to call its headquarters. 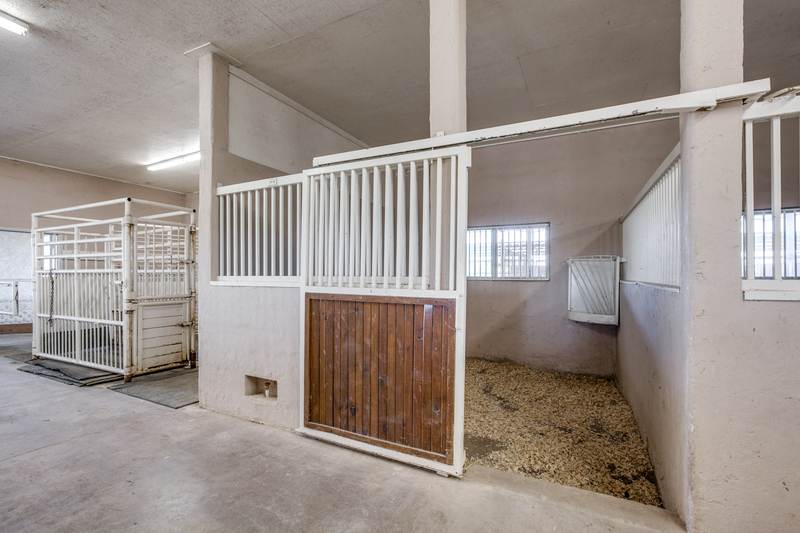 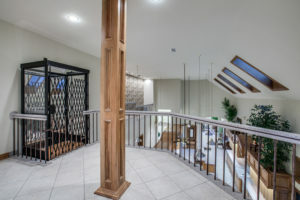 With a large main house within a hundred year old Oak Mott, a small manager’s house, 10 indoor stalls, 9 covered runs, and 12 one acre runs with loafing sheds, this property is ready for horses and cattle. 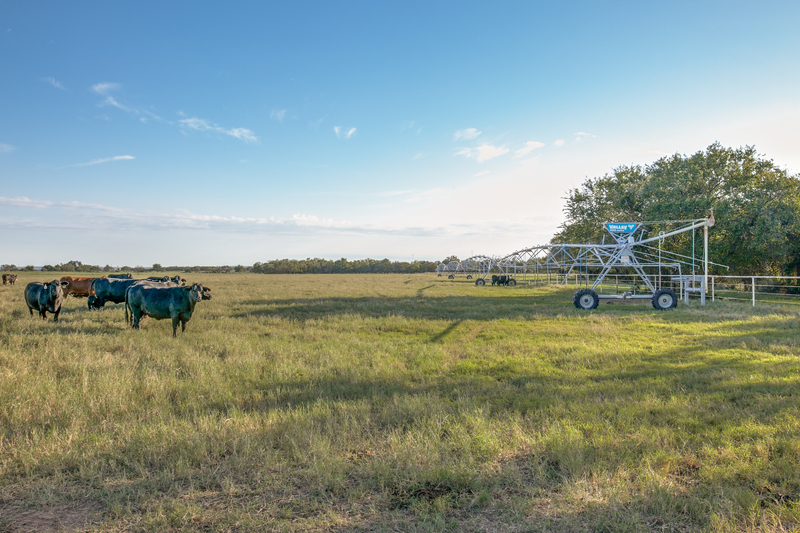 This land also offers a 50 acre wheat field, a 48 acre improved pasture, and a 26 acre irrigated coastal field hooked to a 275 GPM well. Coupled with Jim Ned school district, this operation is a show place. 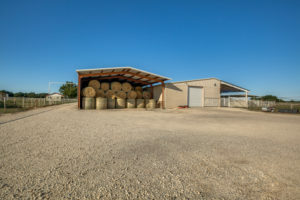 The address is 2565 County Road 134, Ovalo, Texas 79541. 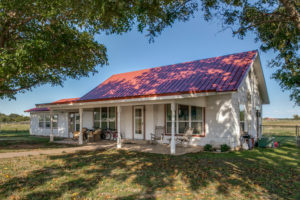 This location in Taylor County is within the desirable Jim Ned School District. 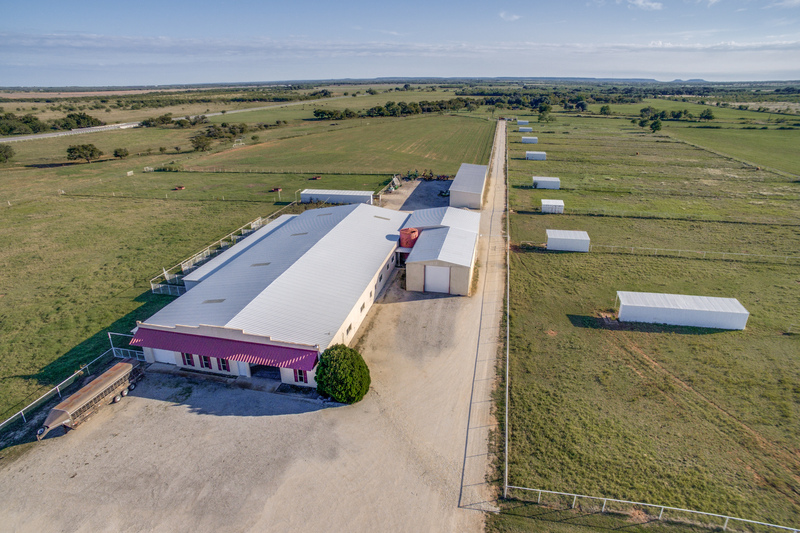 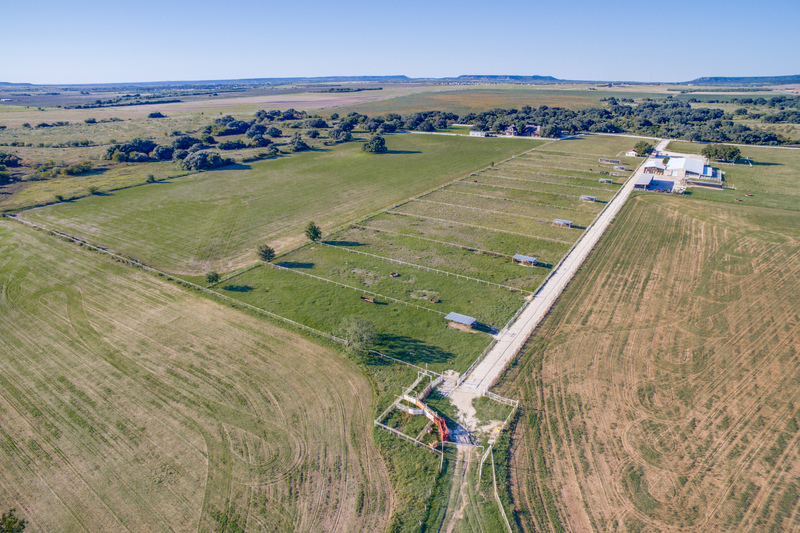 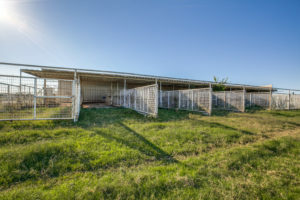 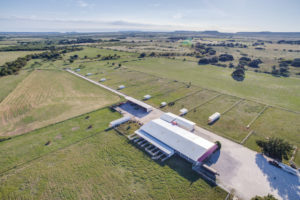 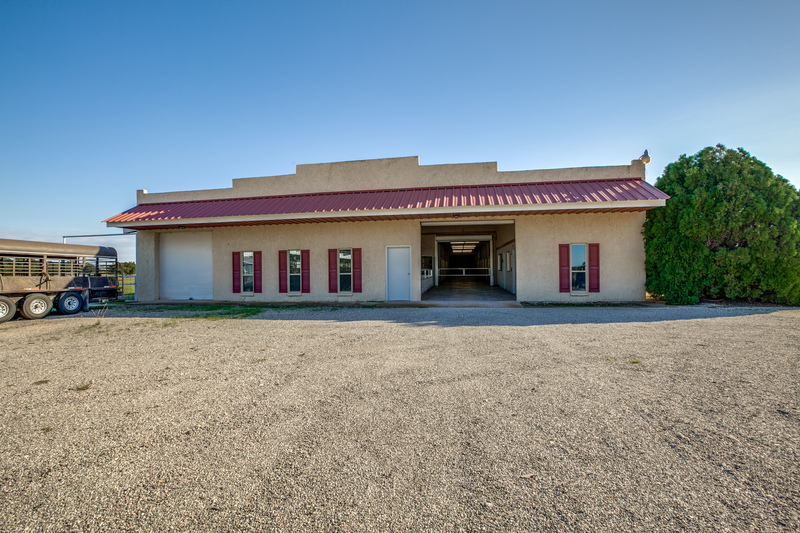 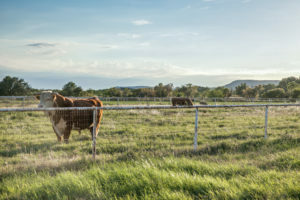 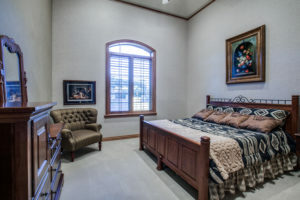 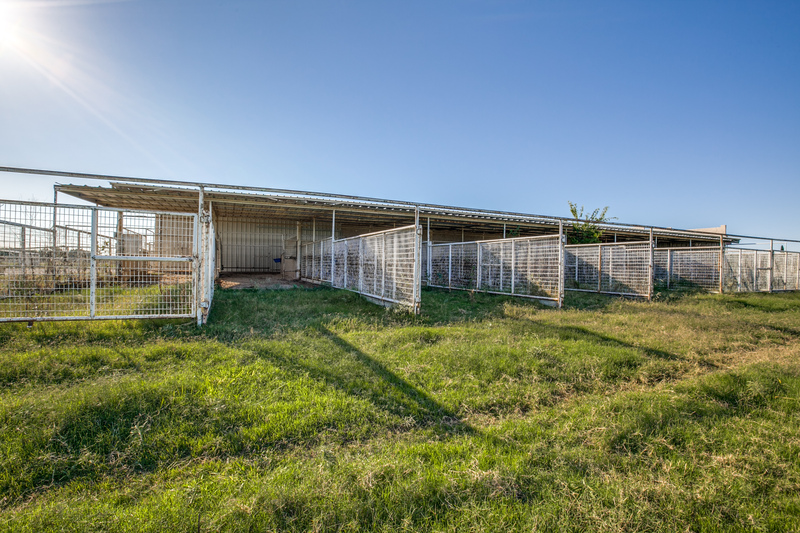 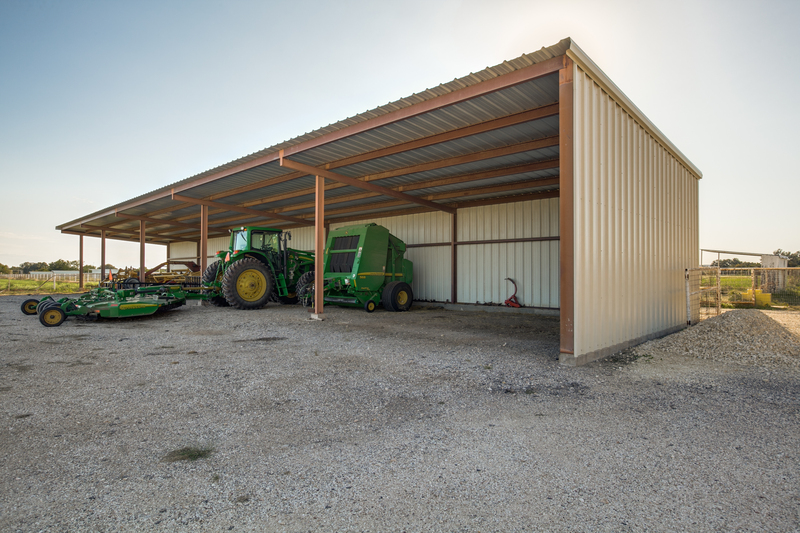 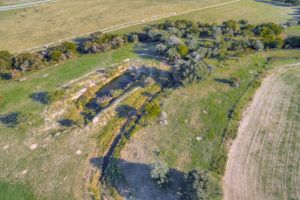 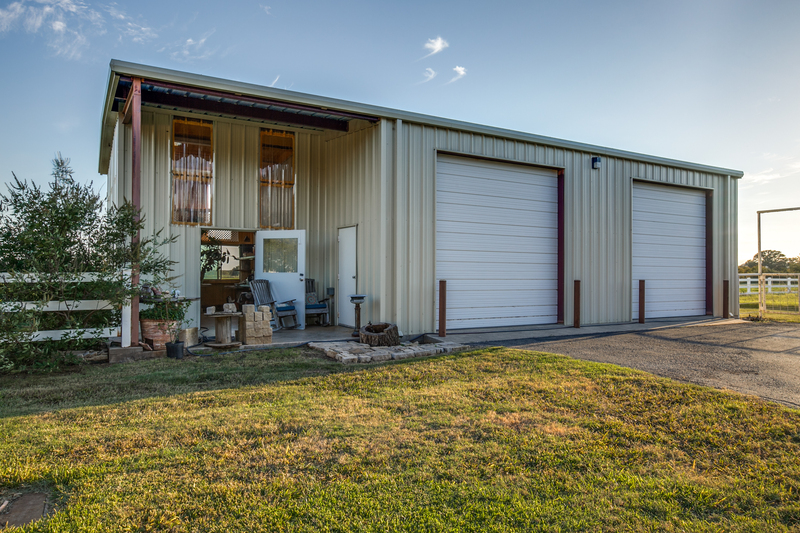 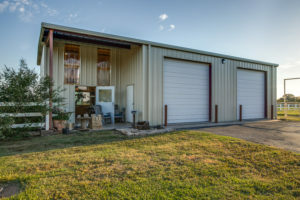 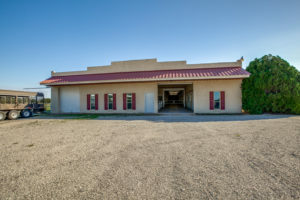 20 minutes south of Abilene, 2 hours and 15 minutes west of Fort Worth, 2 hours and 45 minutes west of Dallas, and 2.5 hours from Midland, this property is centrally located within west Texas. 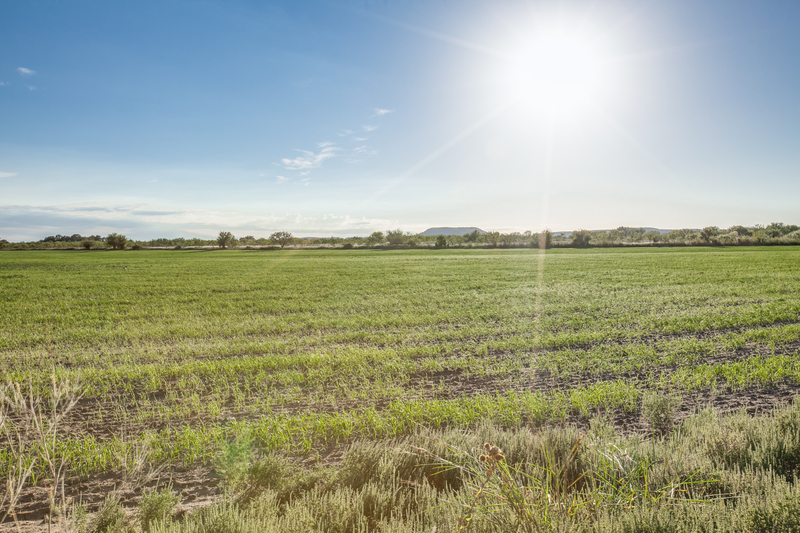 This ground is mostly black dirt clay loam soils. 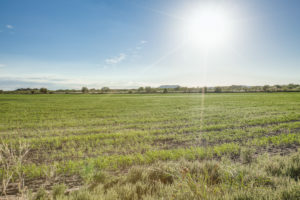 Highly productive in winter wheat, excellent for Bermuda grass, and strong in native grass, makes this soil composition unique in this part of Taylor County. These deep soils also allow for some of the largest and oldest live oak trees in the area to thrive around the main house. 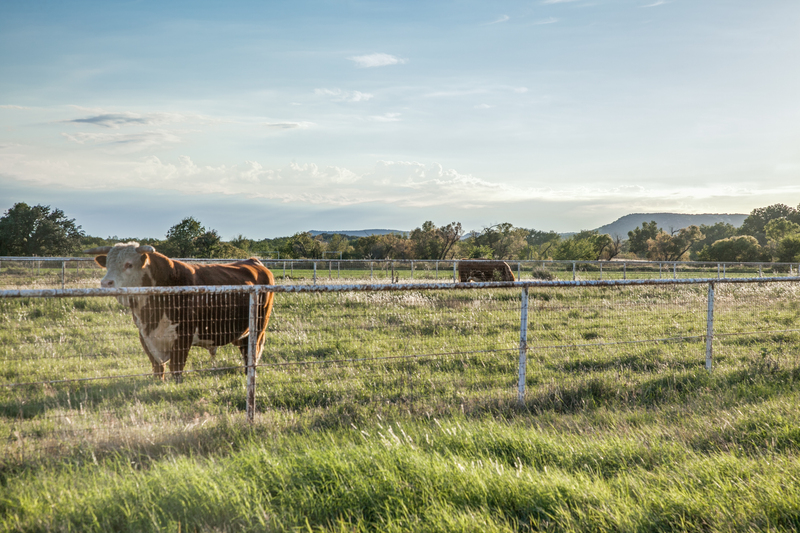  The ranch has 10 separate pastures, a 50 acre wheat field, a 26 acre irrigated coastal Bermuda field, and a 48 acre improved grass pasture. 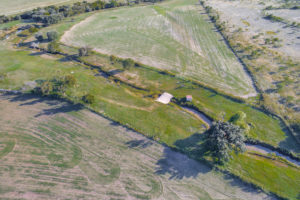 At the confluence of Jim Ned Creek and East Jim Ned Creek this property has year round pools or running water through these waterways. There is a small pond on the property and 2 water wells. The stronger well pumps around 275 gallons per minute and runs the irrigation system along with the water troughs in each pasture. 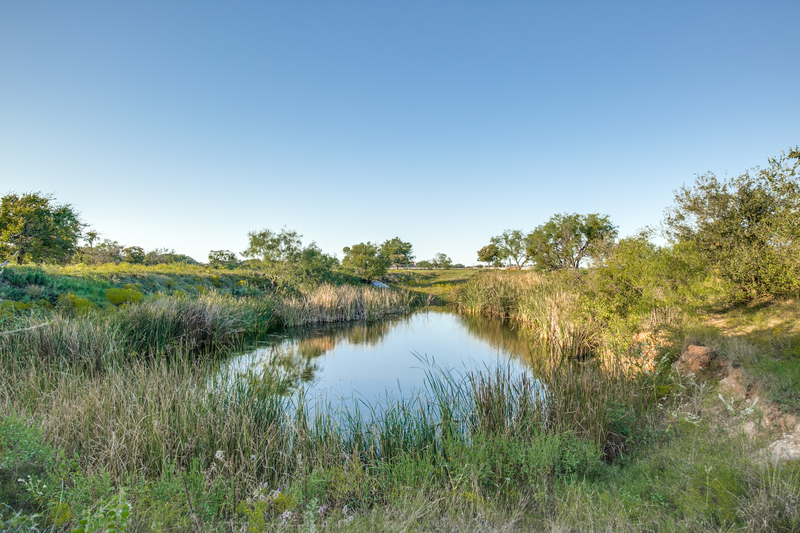 The property is mostly level except where it drops down into the creeks and ponds. 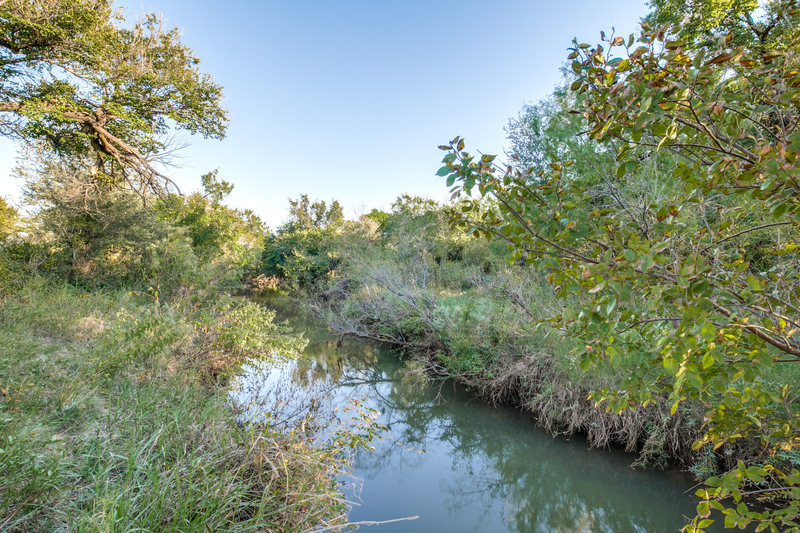 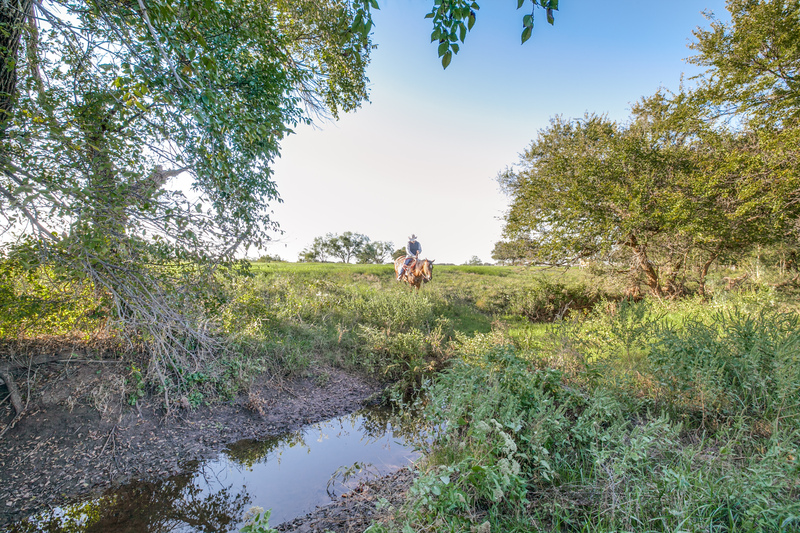 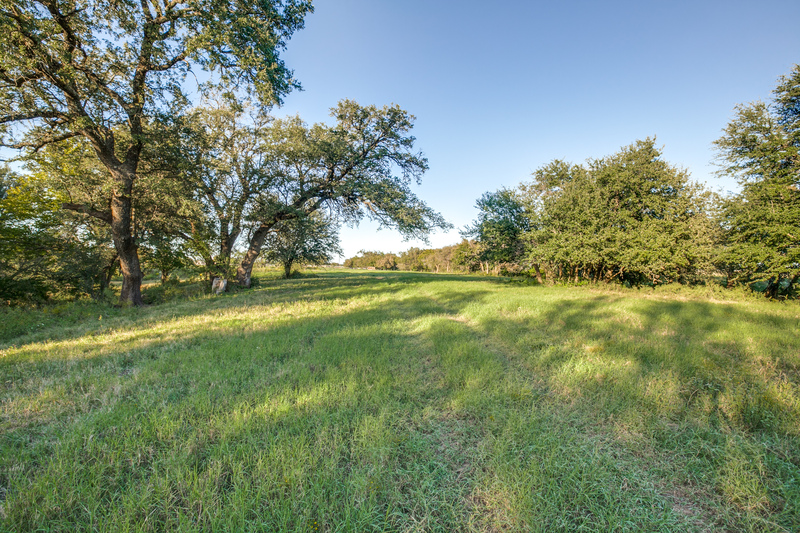 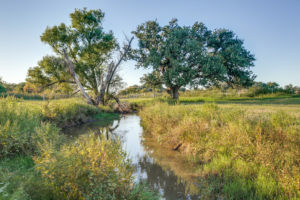 There are predominately open pastures with an attractive tree coverage along the creeks and waterways. 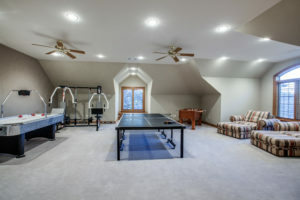 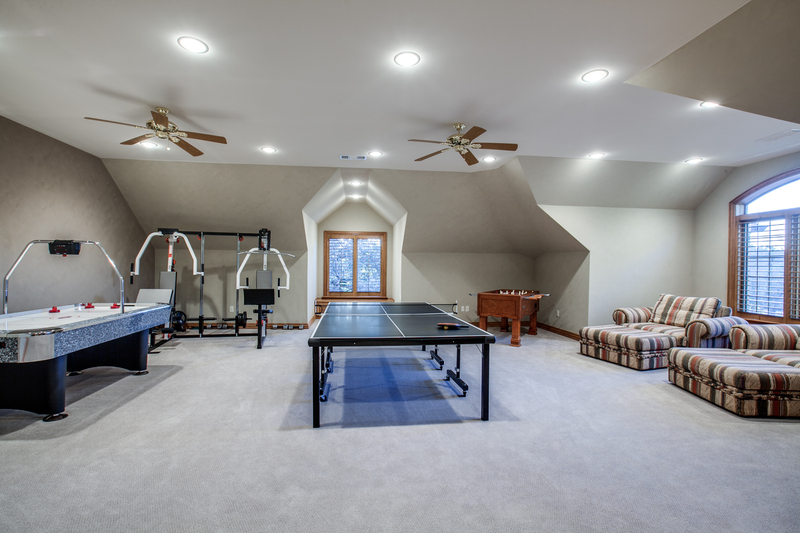 The main house is incredibly well built and has 5 bedrooms, 7 baths, 3 half baths, and multiple living areas. 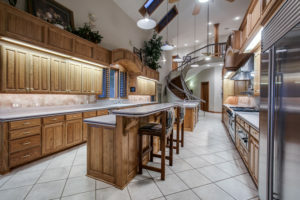 There is a master wing that has an office and an outdoor kitchen. There is a 3 bedroom, 1 bath manager’s house, as well as a tack house/office with a kitchenette and full bath. 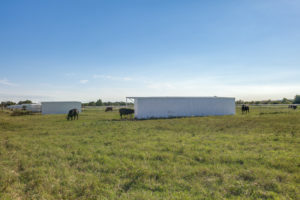 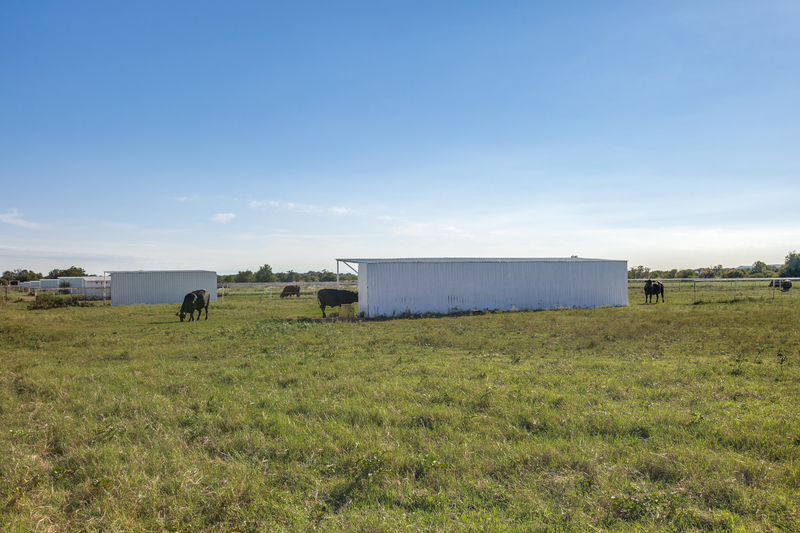 The horse barn hosts ten 12’x12’ indoor stalls, stocks, wash rack, vet station, grain storage, and office with a full bath. 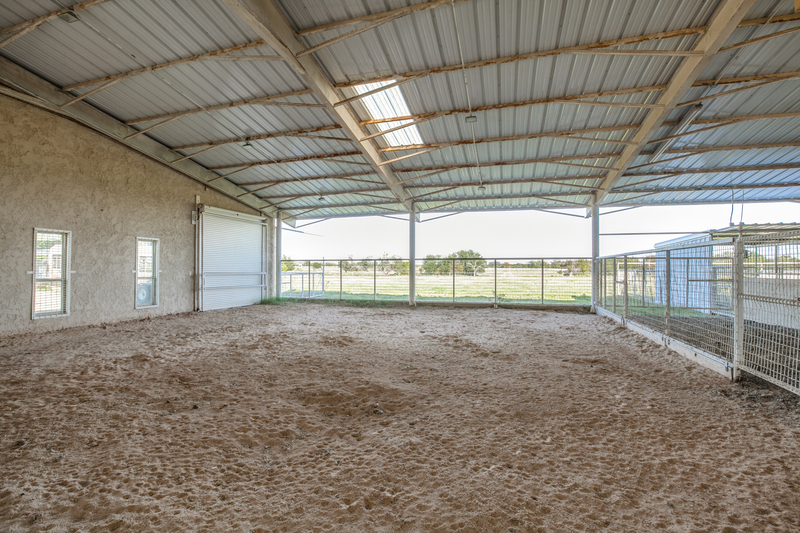 The east side of the horse barn has 9 covered runs that open into a 5 acre trap. 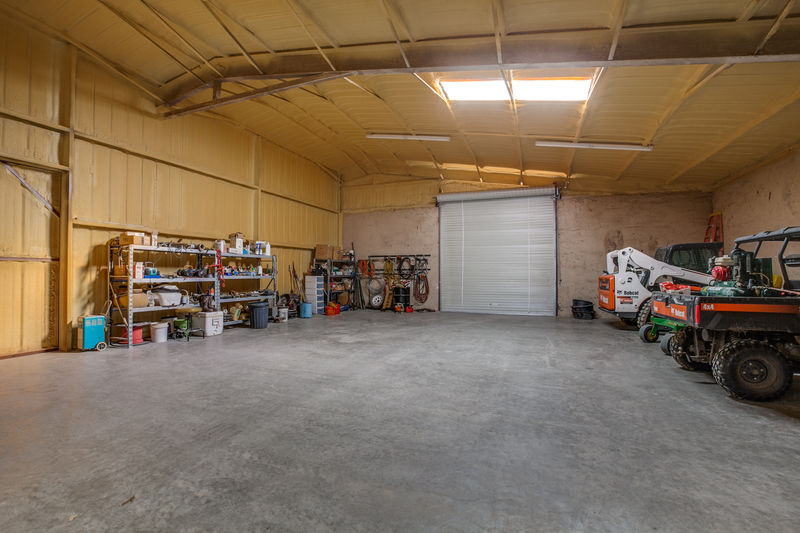 There is an insulated shop, a large hay barn, covered equipment storage, and a large RV/trailer garage. 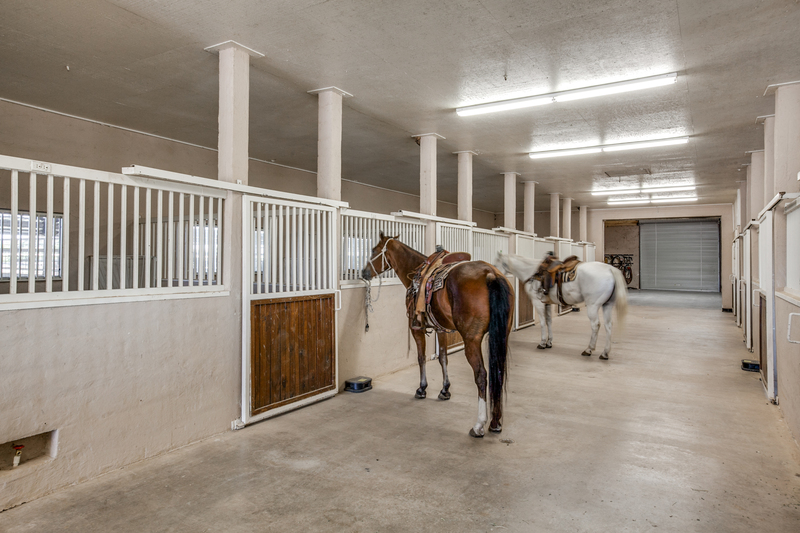 South of the barn, there are 12 one acre runs with loafing sheds and horse friendly fencing. 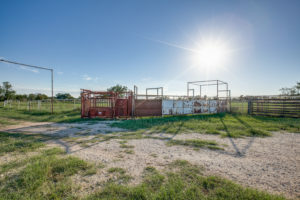 All pastures lead to a good set of working pens with a squeeze chute. 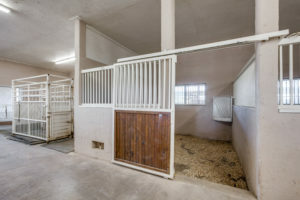 Any horse discipline would thrive here. 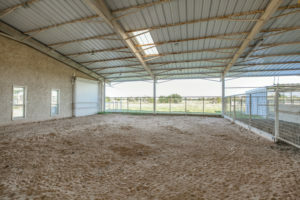 With plenty of room for a polo field, roping or show arena, and long trail rides, this would be a world class equine facility. There would be plenty of opportunity for bird hunting in the improved pastures and along the creeks and some deer and hog hunting.